Photos and videos are memorable instances of one's life. Smartphones have provided the opportunity to shoot and capture both photos and videos instantly. However, due to the limitation of the internal storage on an iPhone, it is hard to keep every file in the system. Additionally, as a safety measure, it is preferable to transform both the photos and videos to your computer. Sadly, it is difficult for an iPhone user to transfer both the videos and pictures to a computer with ease. Today, we will introduce you to the process through which you can now back up all the media files from your iPhone to Windows/Mac computer. As stated above, it is difficult for iPhone users to move back the content from the device to a computer. Synchronizing the content using the iTunes does not provide the opportunity to read the synced files on the computer. However, what we require is moving and reading the data from the iPhone to a Windows PC or Mac. To carry out such an activity, you can consider the use of iMyfone D-Back. 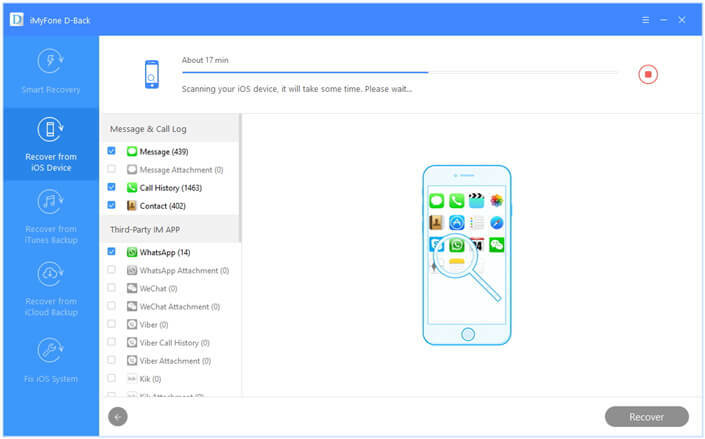 Supports various iOS system and iOS device including the new iOS 10 and iPhone 7.
iMyfone D-Back is downloadable as a trial variant for the Windows operating system, which users can obtain from the official website. They can launch the program after finishing the installation procedure. From the main screen of the program, users will notice the multiple methods through which they can recover content. 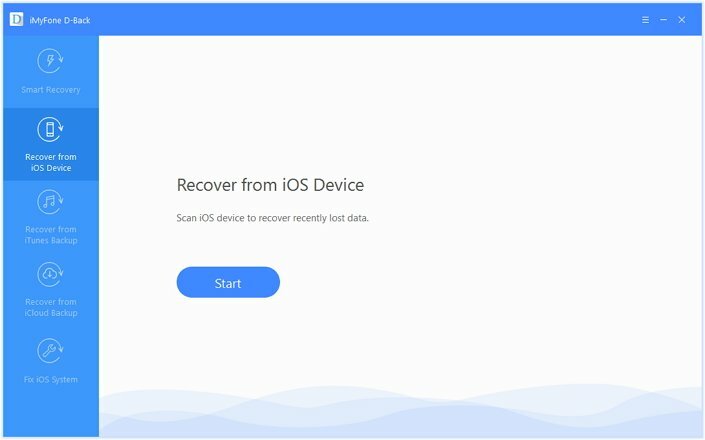 They have to choose "Recover from iOS Device" option. The application will ask you to select the file formats for restoration by pressing the “Start” button. You can choose all the media formats and then press the “Next” key at the bottom. The application will indicate a message to connect the iPhone to the computer. It is preferable to connect the iPhone using the USB cable provided by Apple. iMyfone D-Back recognizes the device as soon as you establish the connection between the iPhone and the computer. It will display the settings along with the information of the device on the interface. You will now have to click the scan button present beneath the icon of the phone to allow the program to scan for the video files. You will see all the media files after the program finishes the scanning process. You can even preview a file. 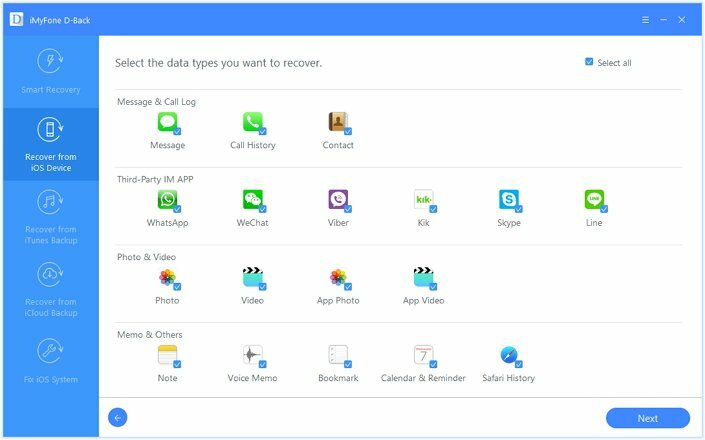 Mark all the necessary files that you wish to retrieve, and then press the "Recover" button. 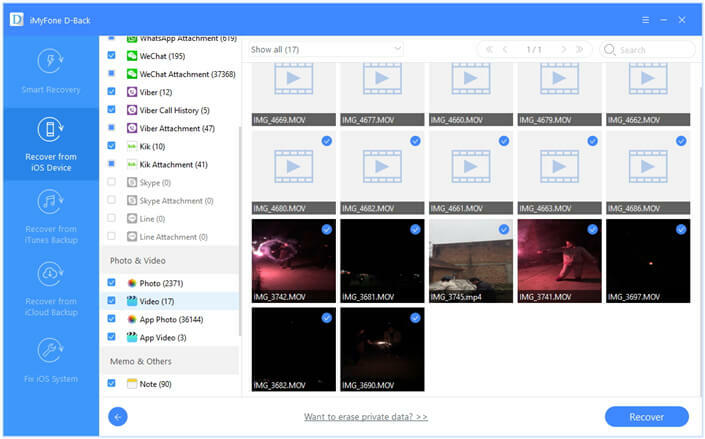 The application prompts a message to select the path to save the video files. 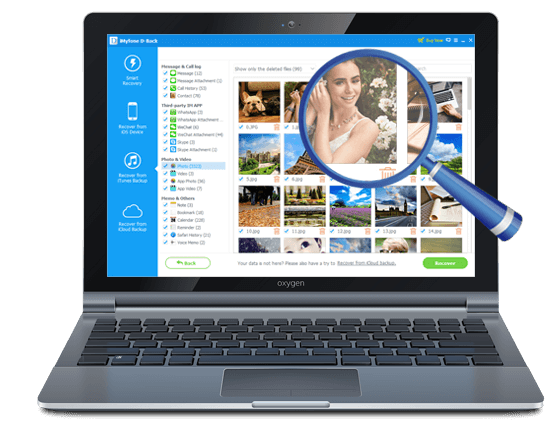 Make your selection using the browse button and wait for iMyfone D-Back iPhone Data Extractor or iPhone Data Extractor for Mac to complete the extraction process.